Theater Technique: Can't copy/paste nor insert a block in AutoCAD? 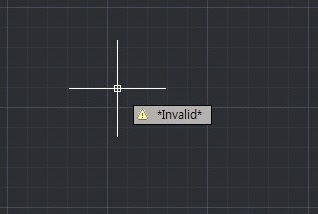 Sometimes I get to face a weird situation when I deal with AutoCAD. I can't copy and paste any components from a specific file to another file. If I can copy and paste within the file, no brainer but doing outside the file, it will be different story. This is the typical symptom. After several hours struggle, finally done. I guess the problem involves with file format or version issue. This is what I tried and made it work. 가끔 AutoCAD를 사용하다보면 블락을 불러올때 'invalid'오류가 뜨는 경우가 있다. 문제의 화일 안에서 복사하고 붙여넣는 것은 문제 없지만 다른 화일로 복사 붙여넣기가 되지 않는다. 현상은 다음과 같다. 블락으로 'insert'할 경우 그 'dxf'화일을 가져온다.